Follow the numbers—that’s the best way to spot problems before they become life threatening.-Keep focusing on your real goal—it’s amazingly easy to get sidetracked by secondary concerns. Gross profit is the single most important number in any new business. Don’t get so close to the problem that you lose all perspective. Sales do not equal cash, and cash is what you need to survive. Using engaging examples from Norm’s thirty years of experience, and from the advice he’s given many entrepreneurs over the years, Norm and Bo prove that business acumen can be within any entrepreneur’s reach. To be sure, having the knack doesn’t guarantee that you’ll succeed at everything you do, but it does improve your chances significantly. You win more than you lose, and the longer you stay in the game, the more often you come out on top. 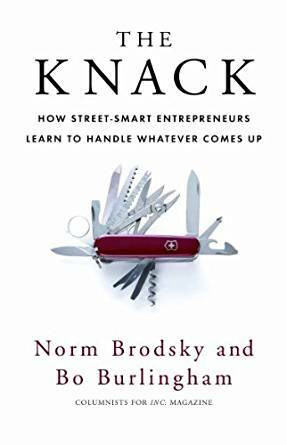 Norm Brodsky, who co-authors Inc. Magazine's “Street Smarts” column, is the founder of six businesses, including a three-time Inc. 500 company. 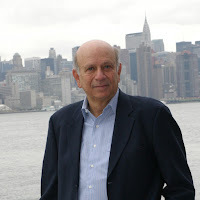 He began writing “Street Smarts” after being featured on Inc.'s cover in July 1995. The column was nominated for a National Magazine award in 2006. He recently concluded a nine-part series, “The Offer,” about his ultimately unsuccessful attempt to sell his companies.